Oh, Paris! There’s no place like the city of lights, right? Plenty of coffee shops, bookstores, and art. Paris, France, is actually an open-air museum. 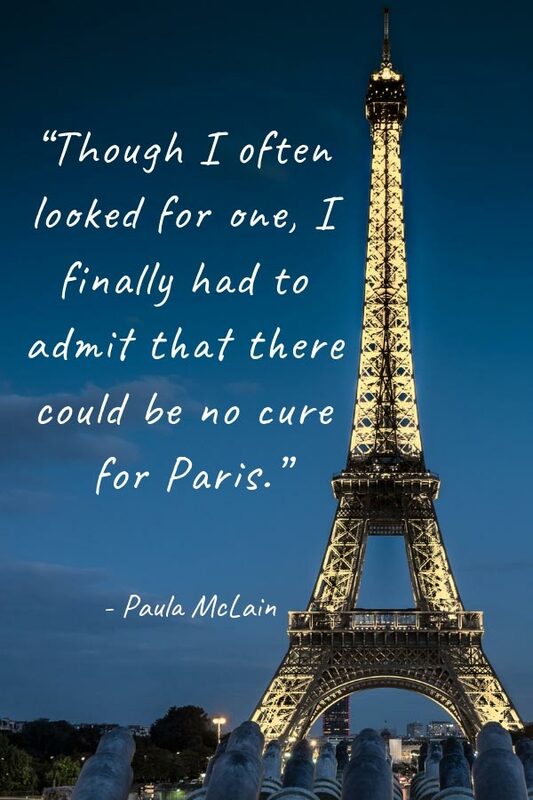 And as I plan my trip to the French capital, I felt inspired enough to look for some quotes about Paris. After all, the city is so romantic and inspiring, and this is a habit of mine – Wherever I go, I search quotes about the city. Maybe it has something to do with that wanderlust inspiration we all have before traveling somewhere. I don’t know. But famous quotes do give me a new angle to look at the city. 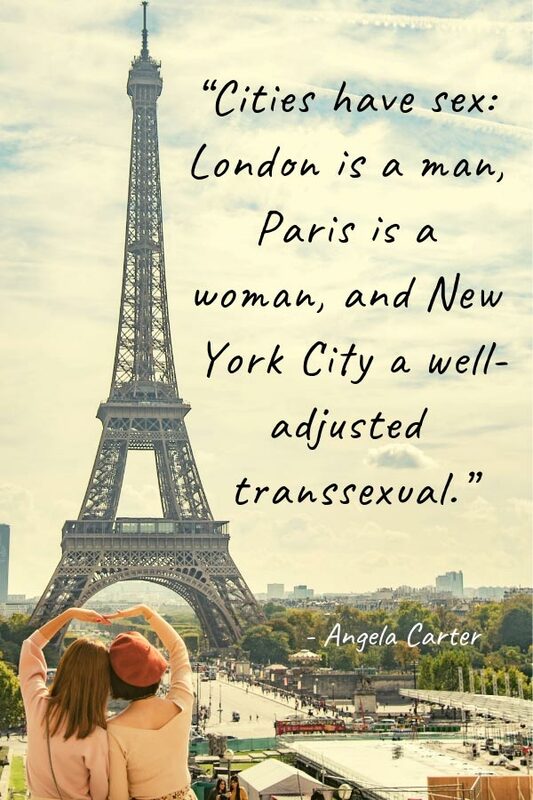 You either hate or love Paris, but I think you know in which group fit in. The Champs Elysees, the Notre Dame, examples of light and darkness in the city. Think about all the modern, shining store lights getting blurred and turning into gargoyles spiking out of a 14th-century Gothic construction. That’s Paris, and you see many more examples like this as you walk around the city. Many of the quotes below are from artistry people. Some of them are gentle, others harsh, and others are just romantic quotes about Paris. But they all have one thing in common – the love & hate relationship Paris inspires on people. 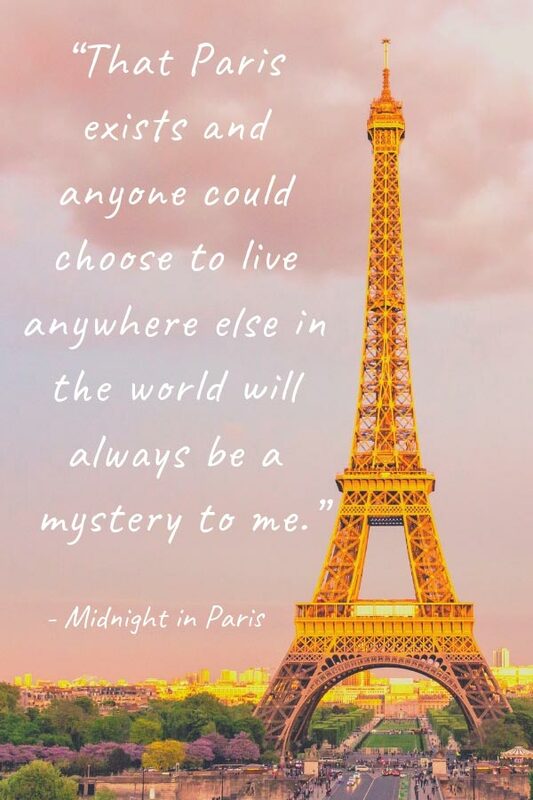 So, #24 and #28 are my favorite quotes for Paris, what about you? 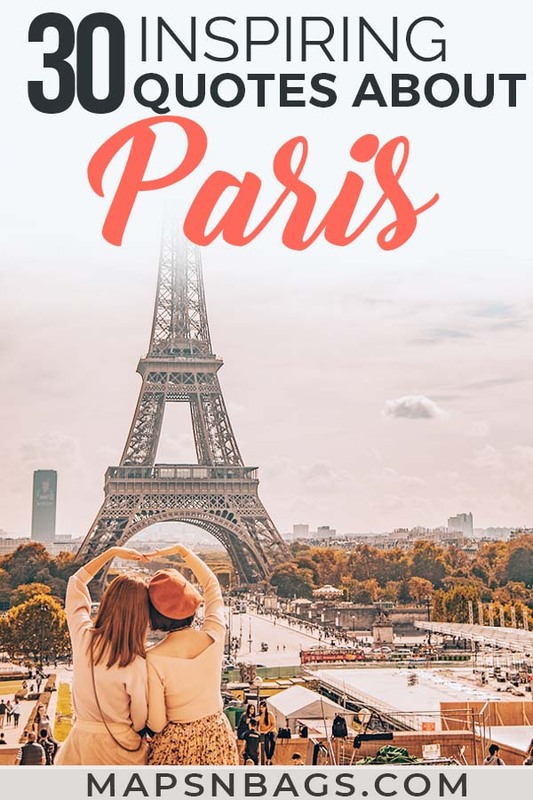 Ah, if you’re looking for funny travel puns or Paris captions, check out this post I wrote full of hilarious Instagram captions. 12. “A walk about Paris will provide lessons in history, beauty, and in the point of Life. 16. “He who contemplates the depths of Paris is seized with vertigo. Is Paris the Love capital? 24. 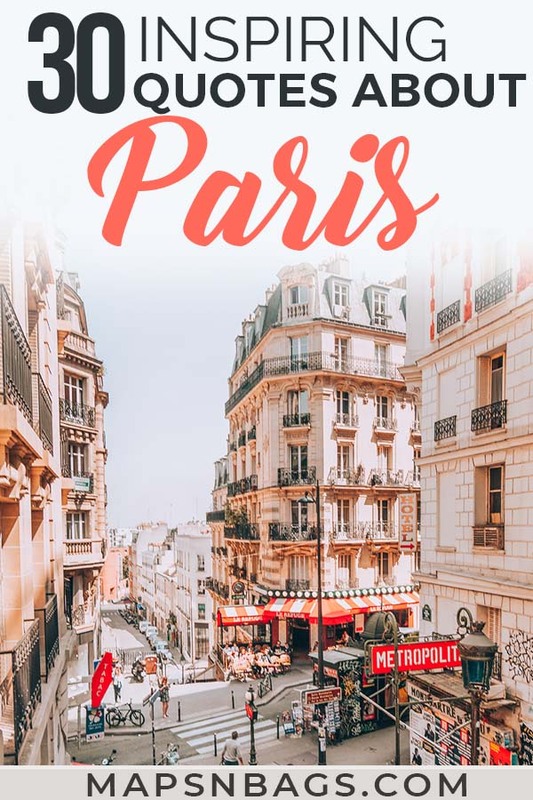 “Paris was a universe whole and entire unto herself, hollowed and fashioned by history; so she seemed in this age of Napoleon III with her towering buildings, her massive cathedrals, her grand boulevards, and ancient winding medieval streets–as vast and indestructible as nature itself. All was embraced by her, by her volatile and enchanted populace thronging the galleries, the theaters, the cafes, giving birth over and over to genius and sanctity, philosophy and war, frivolity and the finest art; so it seemed that if all the world outside her were to sink into darkness, what was fine, what was beautiful, what was essential might there still come to its finest flower. Pssst: Could you make good use of a FREE travel planner? Then subscribe to our newsletter and get access to our private library jam-packed with freebies. Subscribe! 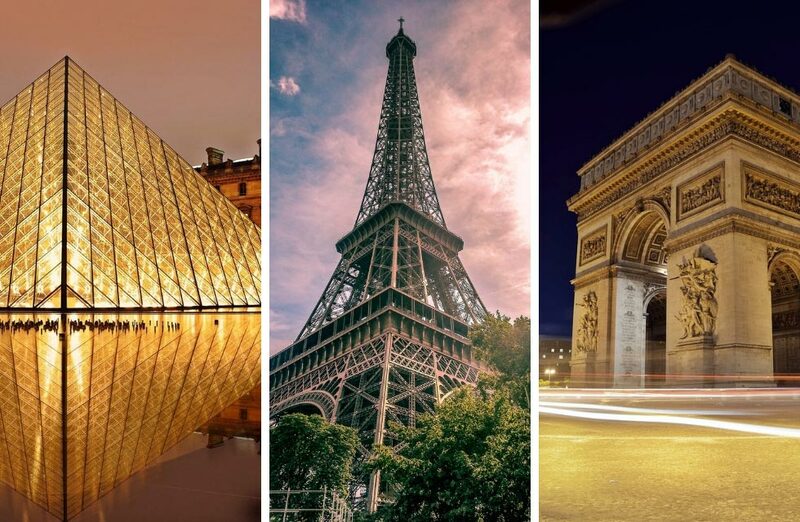 Which of these famous quotes about Paris, France, did you like the most? Comment below! I’d love to hear from you! Also, if you know any other Paris quotes, please type them too! Did you like this post? Then pin to your Inspirational Pinterest board! 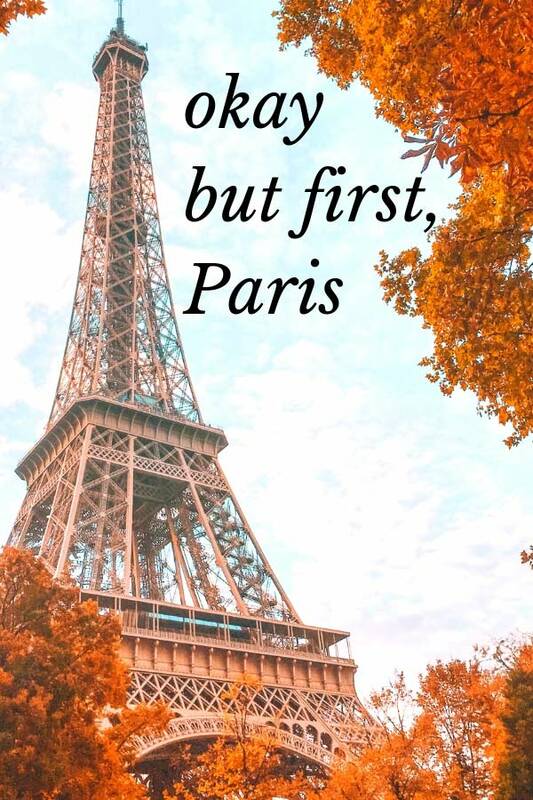 This entry was posted in France and tagged Travel quotes.